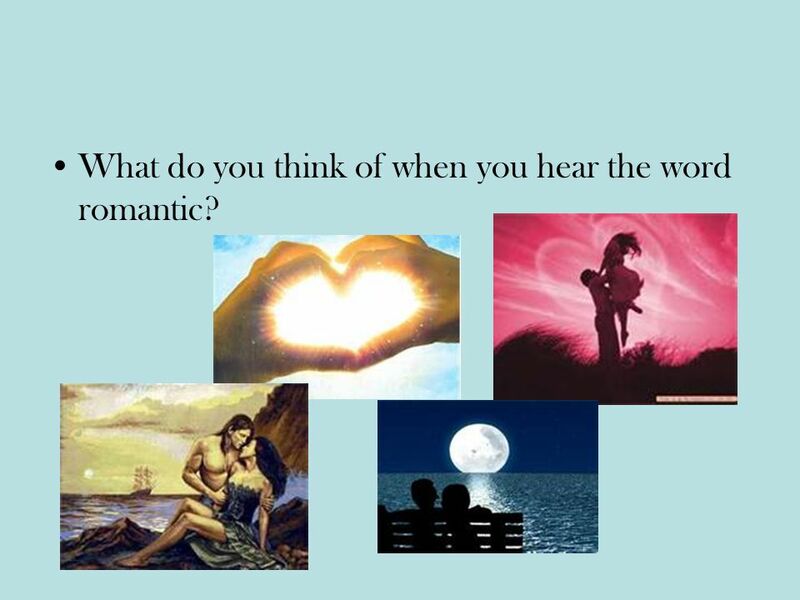 2 What do you think of when you hear the word romantic? 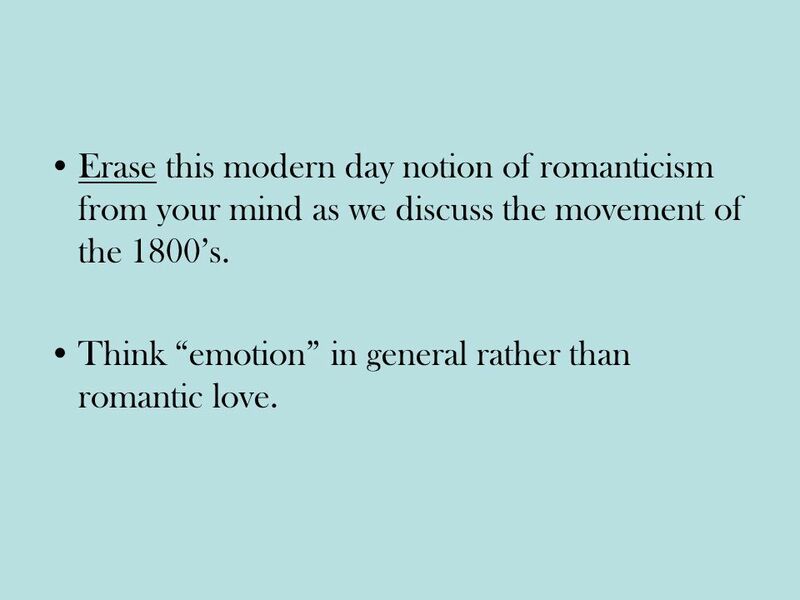 3 Erase this modern day notion of romanticism from your mind as we discuss the movement of the 1800’s. 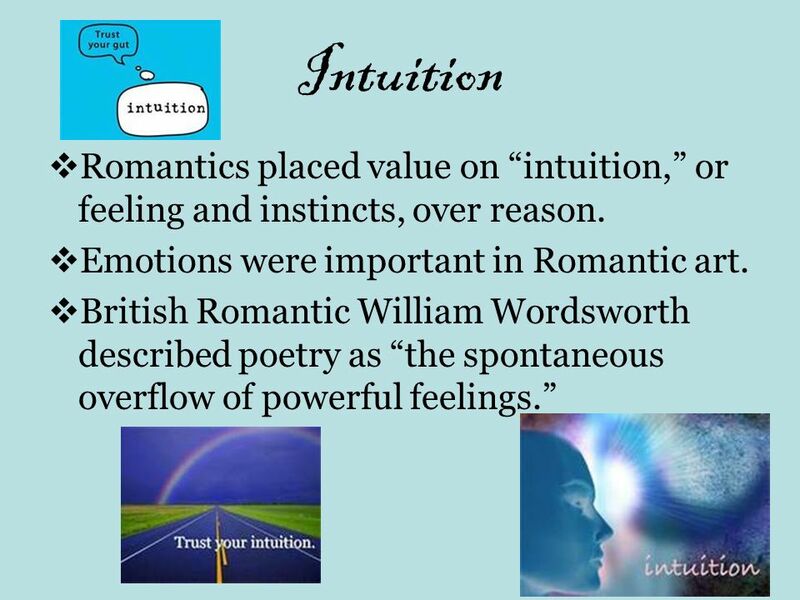 Think “emotion” in general rather than romantic love. 7 Idealism Idealism is the concept that we can make the world a better place. 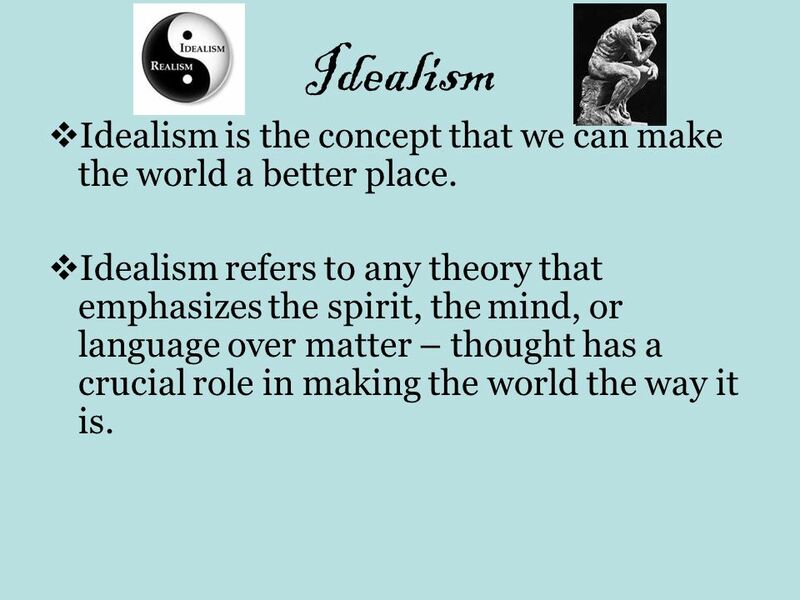 Idealism refers to any theory that emphasizes the spirit, the mind, or language over matter – thought has a crucial role in making the world the way it is. 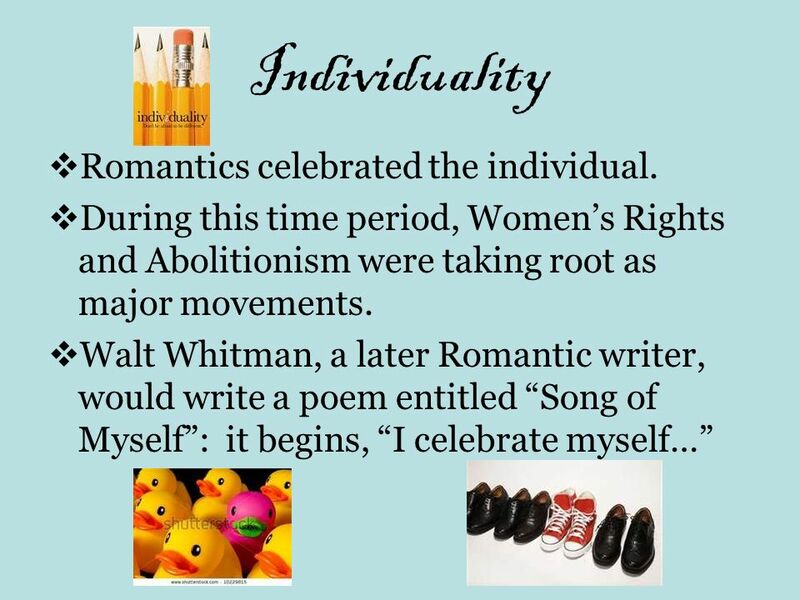 10 Individuality Romantics celebrated the individual. 11 Origins Romanticism began to take root as a movement following the French Revolution. The publication of Lyrical Ballads by William Wordsworth and Samuel Taylor Coleridge in 1792 is considered the beginning of literary Romanticism. 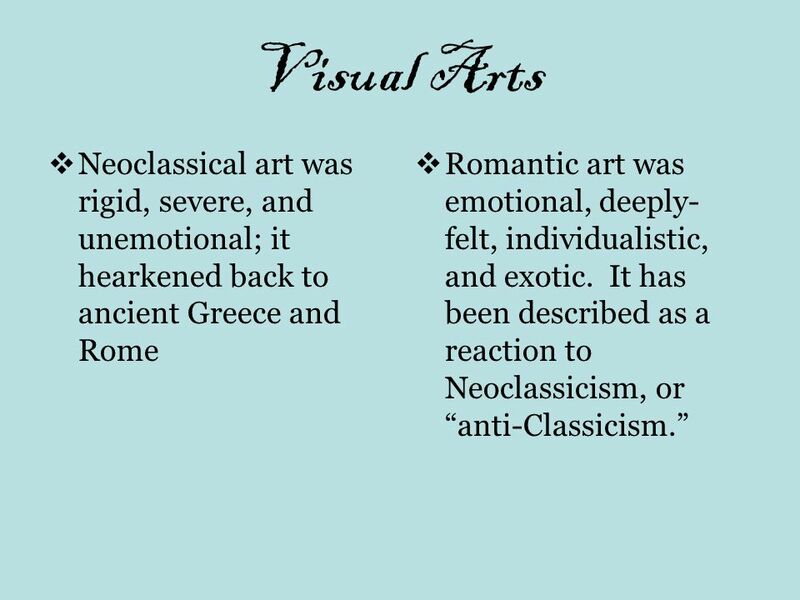 12 The Arts Romanticism was a movement across all the arts: visual art, music, and literature. 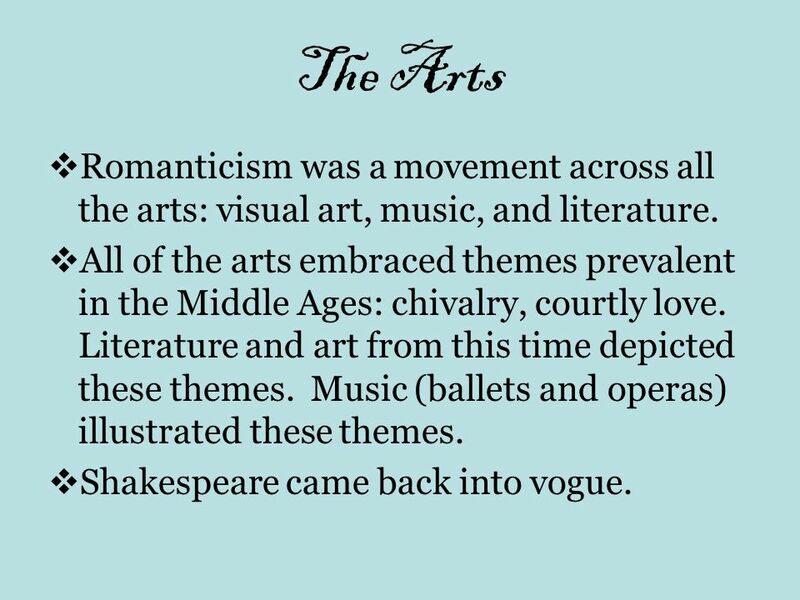 All of the arts embraced themes prevalent in the Middle Ages: chivalry, courtly love. 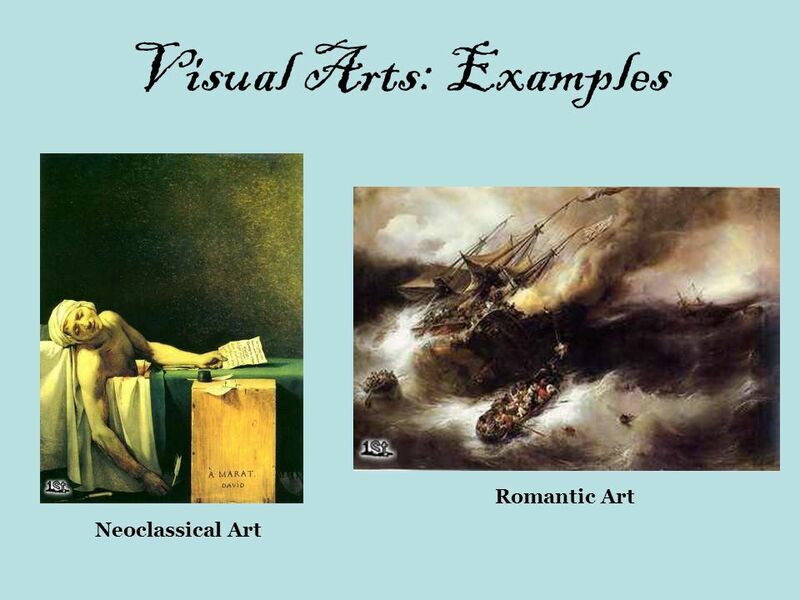 Literature and art from this time depicted these themes. Music (ballets and operas) illustrated these themes. Shakespeare came back into vogue. 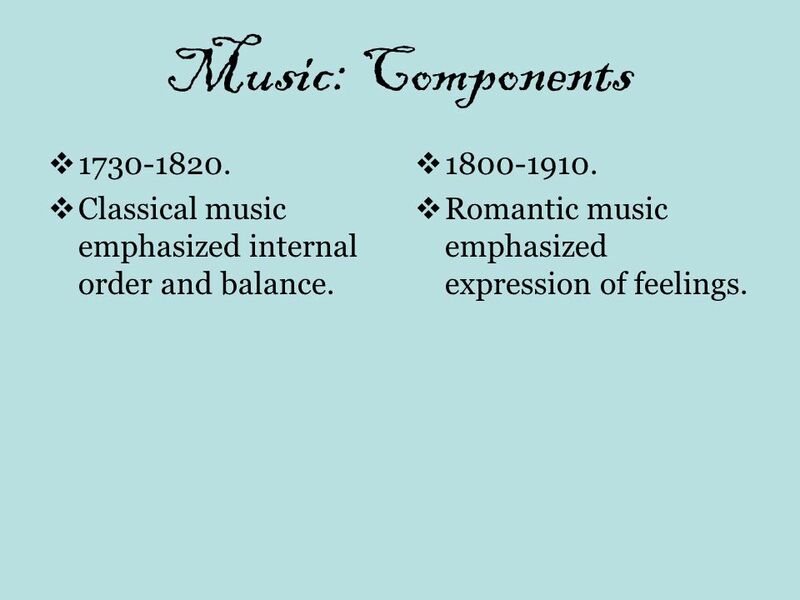 16 Music: Components Classical music emphasized internal order and balance. 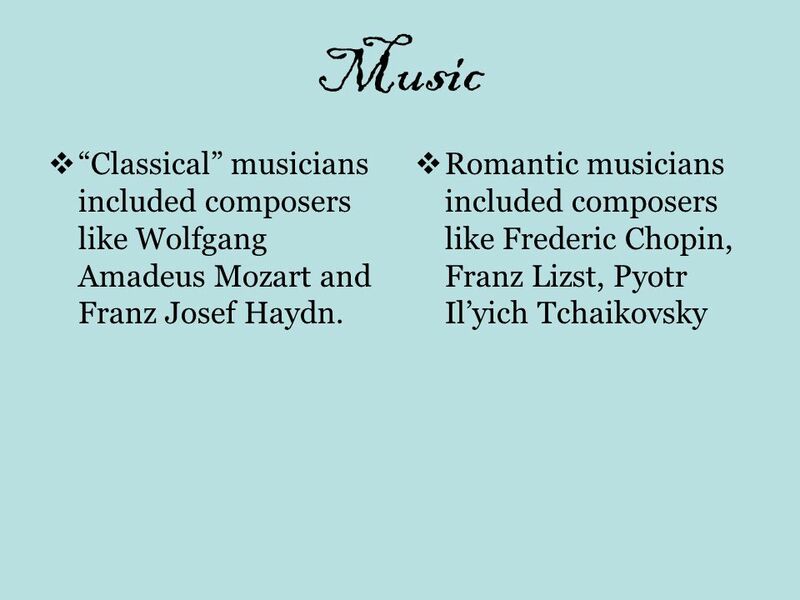 Romantic music emphasized expression of feelings. 17 Literature In America, Romanticism most strongly impacted literature. 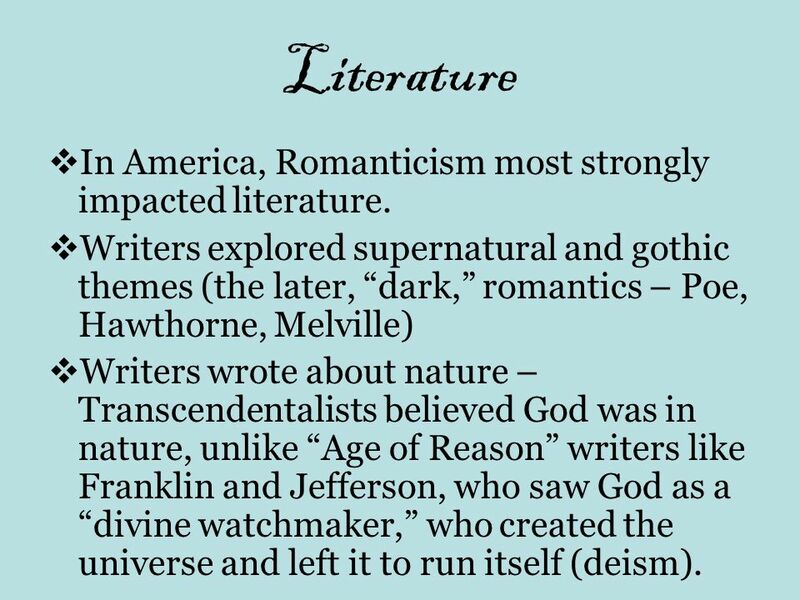 Writers explored supernatural and gothic themes (the later, “dark,” romantics – Poe, Hawthorne, Melville) Writers wrote about nature – Transcendentalists believed God was in nature, unlike “Age of Reason” writers like Franklin and Jefferson, who saw God as a “divine watchmaker,” who created the universe and left it to run itself (deism). 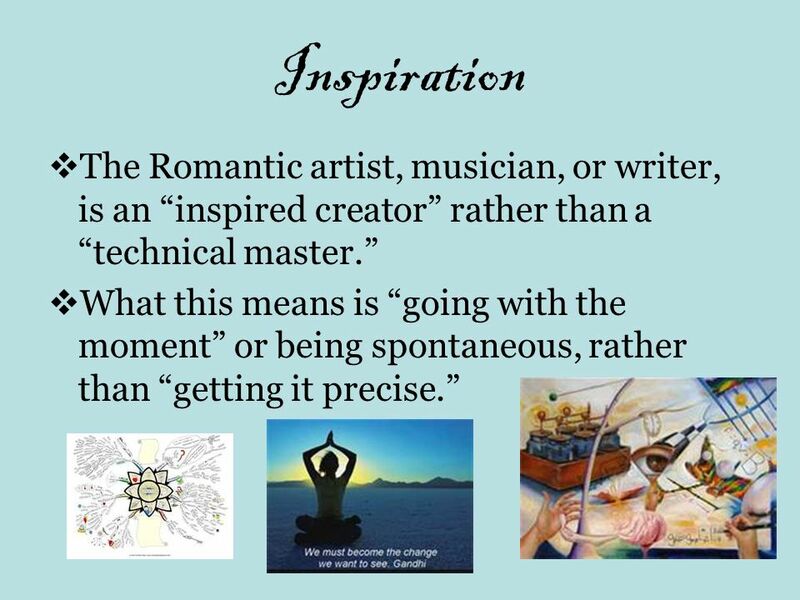 Download ppt "A Movement Across the Arts"
The Count of Monte Cristo. AUTHOR: Alexandre Dumas PUBLISHED: 1844 SETTING: The story takes place in France, Italy islands in the Mediterranean and the. Journal Take a moment to assess the statement below, and in a few sentences explain the point the speaker makes about the imagination. “My imagination. Romanticism, Realism, & Impressionism in Art. 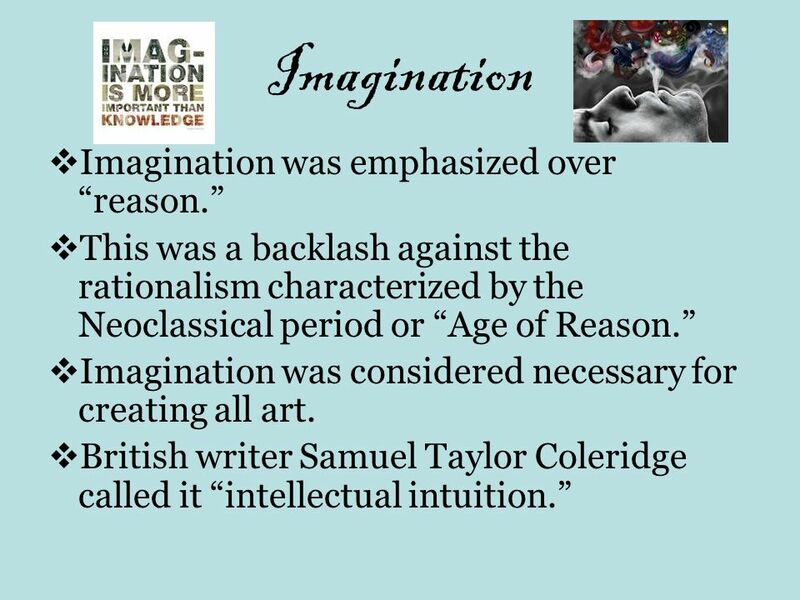 Romanticism characterized by the 5 “I”s Imagination was emphasized over “reason.” This was a backlash against. * Revolutions occurring in France, and in America, thus many in England saw this as a turning point in history for a more ideal and civilized. 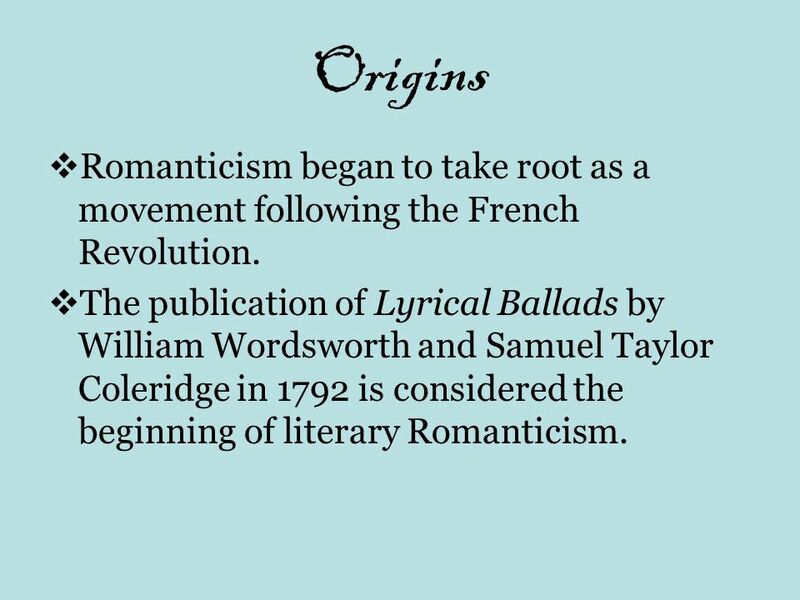 Romanticism  Literary movement in England began in 1798 with the publication of the poetry collection Lyrical Ballads by Wordsworth and Coleridge o Initially. 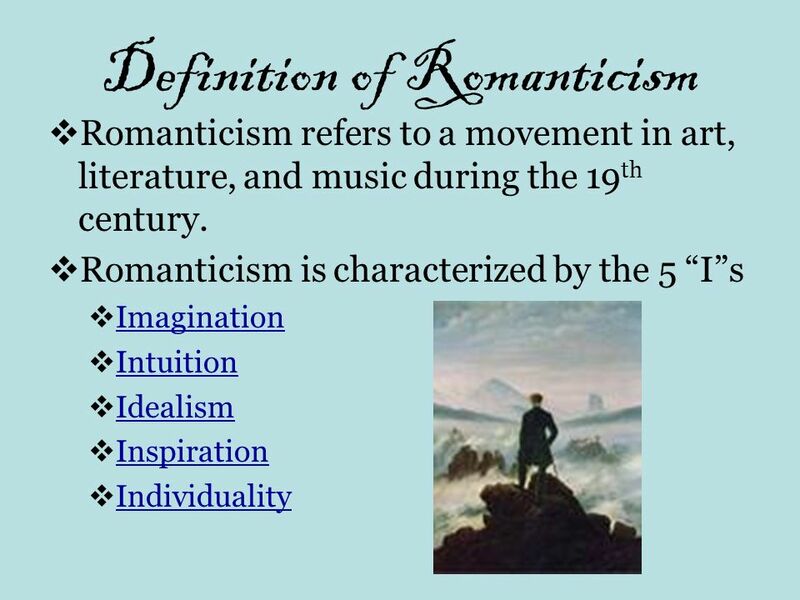 Romanticism Definition  Romanticism refers to a movement in art, literature, and music during the 19 th century. 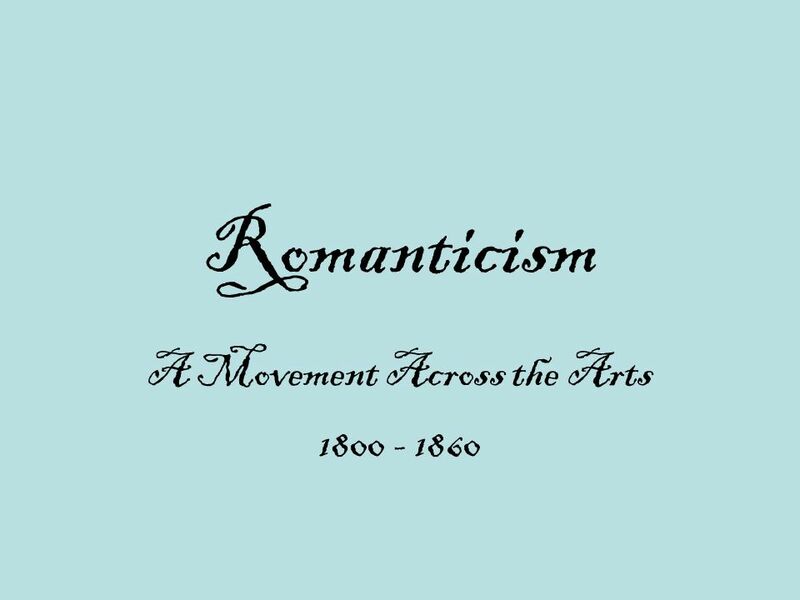 (1800s)  Romanticism is characterized. A Movement Across the Arts. 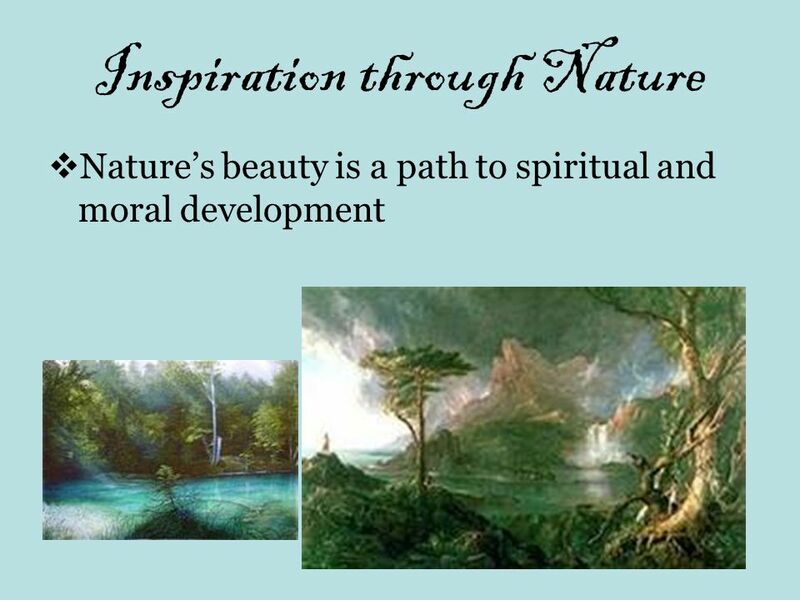  Romanticism refers to a movement in art, literature and music during the 19 th century (1800 – 1860)  American Romanticism.